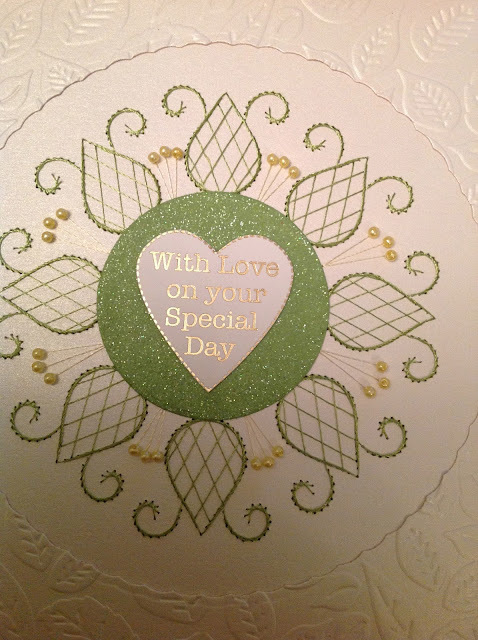 Here is a card which I have stitched. I really enjoyed this pattern. I then found I had some glitter paper which matched the green coloured thread I had used to stitch the patten. I didn't plan it, it was just luck! The sentiment was from Kanban. 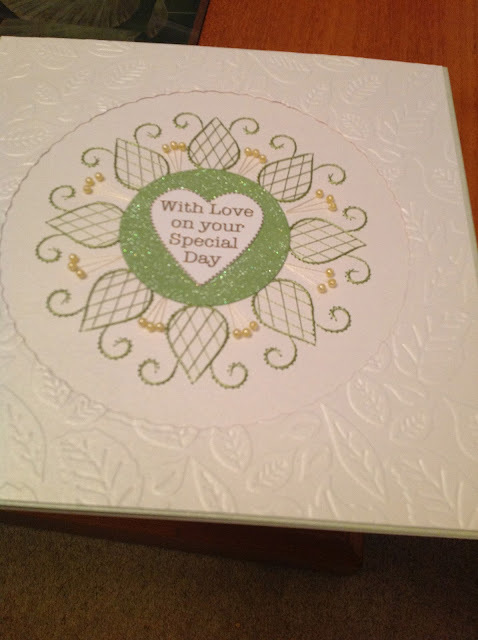 I left the inside blank so the card could be used for a Birthday, Anniversary or Wedding..........what do you think?